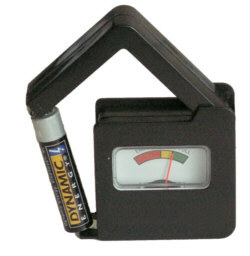 Battery tester for 1.5V and 9V batteries. Quick check indicator for empty, reasonable and full status. You will never know how handy this is, until you have one.